For a city that has only been on the map for a few years, Brookhaven has quickly grown into a vibrant town. Anchored by beautiful historic residences, mid-20th century bungalows, along with hip new condominium and townhouse developments, young professionals are flocking to the area for its greenspace, amenities and of course, food! We gathered amongst ourselves here at BrownDaniel and came up with our short list of favorite restaurants in the Brookhaven area, and we’d love to share them with you. Here they are, in no particular order, because even we can’t decide which delicious destination is best! Tucked away at the end of the delightfully named Apple Valley Road, is what Arnette’s chef Stephen Herman describes as a “stylish alternative” to a traditional steakhouse. And the restaurant is definitely stylish! The dining room encompasses two stories of plush seating along with a special chef’s table near the open kitchen. High ceilings and exposed ductwork give the dining room an industrial feel. Travel out from the upstairs dining room to the rooftop bar and order something from the extensive wine list, or perhaps an artisan craft cocktail from one of the resident mixologists. For a truly unique experience, devoted steak lovers can join the Arnette’s Knife Club. There are three membership levels that give the steak lover their own set of custom engraved knives that remain at the restaurant, wrapped in fine cloth and tucked away in the knife library behind the reception desk. It’s a clash of old south meets new south at Dixie Q, and the winner is all of us! With a menu full of traditional Southern barbecue staples like brisket, pork and sausage, you might be surprised to see some decidedly nontraditional items like the “BBQ Bowls” – examples include the Garden Vegetable Quinoa and Campfire Caesar. This fresh take on barbecue presentation has proved to be a hit and provides unique options for vegetarians and meat-eaters alike. With a great kids’ menu as well, Dixie Q is easily one of our favorite all-around restaurants in Brookhaven. If you’re looking for a Buckhead caliber dining experience without the trip into the city, Haven is the perfect substitute! The dining room is furnished in rustic cypress wood, and the focal point is the floor-to-ceiling wine library showcasing some of America’s top vineyards, leading to an open kitchen. Diners love the patio, located under a canopy of lush elm trees. The menu features a creative take on traditional American favorites and comfort foods, with items changing seasonally so that ingredients can remain as local as possible. The Sea Island peas, Anson Mills rice grits, Jonah crab cakes with she-crab soup, and bacon-wrapped North Georgia trout all give the menu a regional flair. Mali Hu, founder of The One Sushi+, describes her food in this way – “it’s the food Asian people eat at home with some twists to make it more approachable.” So while the spot may be known for its unique sushi rolls, don’t think the menu stops there. Other traditional Asian favorites make up the “+” finding their way on to The One’s small plates, such as the Braised Pork Belly Bun and Bulgogi Cheesesteak. Imported Japanese beers and handmade cocktails means the drinks are up to par as well. This kind of food begs to be served in hip, eclectic surroundings, so expect a dimly lit interior with an industrial decor featuring concrete, steel and glass. Modern art pieces hang suspended from the ceiling while an abstract mural depicting a rainbow of brushstrokes counterbalances the grey concrete and metal. The chopsticks are made of steel, and the water glasses are strangely askew in shape. The overall chic vibe is the perfect canvas for this out of this world sushi experience. Valenza is a Brookhaven neighborhood favorite for Northern Italian cuisine featuring a hearty mix of Italian favorites, along with more modern creations. The decor is authentic, with Venetian plastered walls with rustic oak and pine woods. The space also houses some amazing turn of the century architectural pieces and antique European candle chandeliers. The setting feels at once both upscale and opulent, and also cozy and familiar. Valenza’s patio is tucked away from the hustle and bustle of Brookhaven’s city streets, and diners there feel transported to the Tuscan countryside. Add the live jazz every Wednesday evening and you have a recipe for the perfect Italian night out. 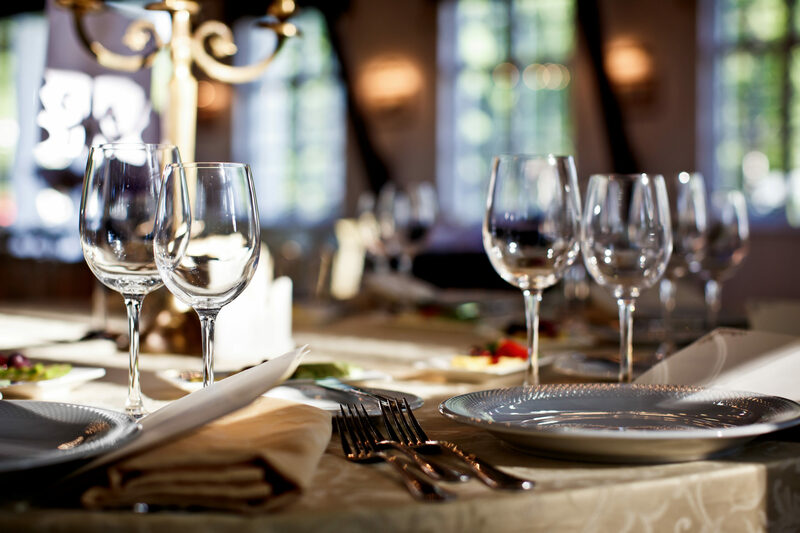 Find more information on Brookhaven, and see BrownDaniel’s current listings near these awesome restaurants here!